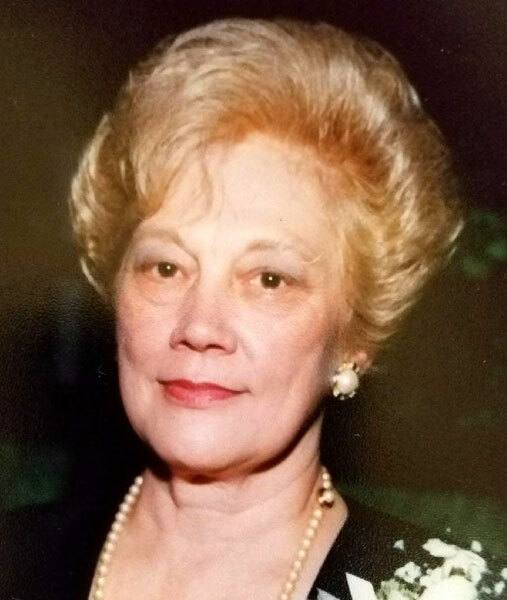 CHARLOTTE L. BRENNER YOUNGSTOWN – Charlotte L. Brenner, 79, peacefully passed away on Monday afternoon, July 17, 2017, with her family by her side. Charlotte will always be remembered and loved by her family and friends for her robust spirit, kind heart, and compassion to those in need. She was a beloved wife, mother and “Nana.” Born May 17, 1938, in Connellsville, Pa., the resilient daughter of George and Stella Woods endured difficulties before moving to the Youngstown area in the 1960s. Over her lifetime, Charlotte had many different interests and career paths, but mostly she worked and managed local restaurants where her outgoing personality forged diverse friendships far and wide. Charlotte especially loved to cook and took genuine pleasure in hosting large holiday gatherings for her family and friends. In fact, it was not uncommon for Charlotte to invite to her home those who had nowhere else to celebrate the holidays. She was an avid reader and enjoyed puzzles of all kinds; however, Charlotte most especially loved time with her grandchildren, of whom she shamelessly bragged. Charlotte was Lutheran and her faith in God never left her even during some of life’s most challenging experiences. On Jan. 26, 1963, at the Chapel of Friendly Bells, she married Arnold M. Brenner, who adored her for their 52 years of marriage until ”Red” passed away Feb. 25, 2015. Charlotte leaves behind four children, Sherri (Robert) Mangapora of Canfield, Eric (Denise) Brenner of Kent, Phillip Brenner of Boardman, and Linda (Robert) Welling of Connellsville; six grandchildren, Katherine and Matthew Mangapora, Gillian and Haley Brenner, Joshua and Timothy Welling; as well as a brother, Walter (Kathy) Woods of Struthers. Besides her parents and husband, Charlotte was preceded in death by an infant daughter, Barbara Ann; a son, Randall Jordan; and a brother, George Woods. Per Charlotte’s wishes a small, private family service will take place. The family would like to thank the staff and special friends at the Inn at Christine Valley who understood and appreciated Charlotte’s gregarious nature, tended to her needs, and added enjoyment to her days. Charlotte’s family would also like to mention the nurses at St. Elizabeth Health Center in Youngstown, on the fourth floor, who showed her such tender care and support during her recent illness. Most importantly, heartfelt appreciation is extended to those who were Charlotte’s loyal friends over the years, old and new. She truly loved you all. Arrangements have been entrusted to the professional care of the Thompson-Filicky Funeral Home, 4221 Market St. in Boardman. In lieu of flowers and in honor of her love for her grandchildren, material contributions may be made in Charlotte’s name to St. Jude Children’s Hospital, 501 St. Jude Place, Memphis, TN 38105.